Data displaying in main grids is not editable directly from these grids. •Instead, open the entry screen to edit or delete the record. 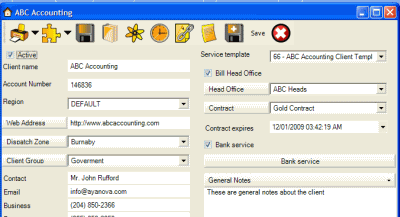 For example, click on the Workorder # in the grid to open that service workorder entry screen and make any changes needed. When you save it, you will be returned to the grid from where you opened it, and any changes you made will now show in your grid. •You can also open the entry screen for many different objects in AyaNova from different grids.